Details:One pair of glasses frame you could exchange into your own prescription lenses and one polarized clip on you may not have to buy another pair of sunglasses. Special Design Magnetic Force Clip on Sunglasse. 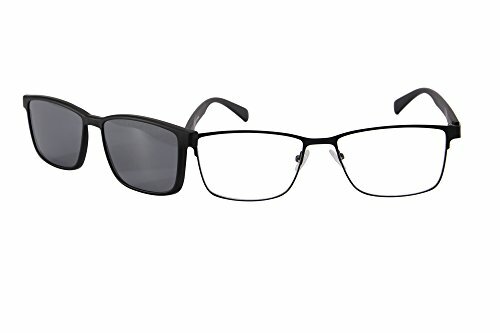 Frame Is Super Lightweight and Totally Comfortable. You May Exchange Your Own Prescription Lenses Into the Glasses Frames. Polarized UV400 Clip On Lenses Against Harmful UVA/UVB Rays. Each Pair Comes In Its Very Own Leather Case and Microfiber Pouch to Protect and Keep Your Glasses Clean. If you have any questions about this product by SHINU, contact us by completing and submitting the form below. If you are looking for a specif part number, please include it with your message.